Wolvenciel here for another post, guys. A late one at that too (twelve hour late to be exact). So yeah. Sorry about that. 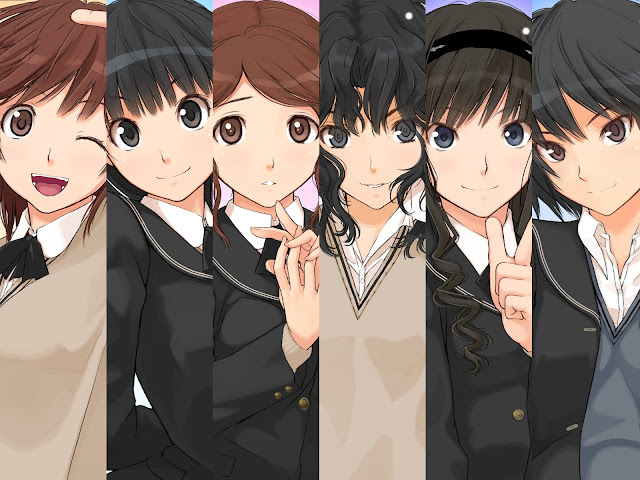 Anyways, today we're going to talk about Amagami SS. Yes, talk. No this is not a review. 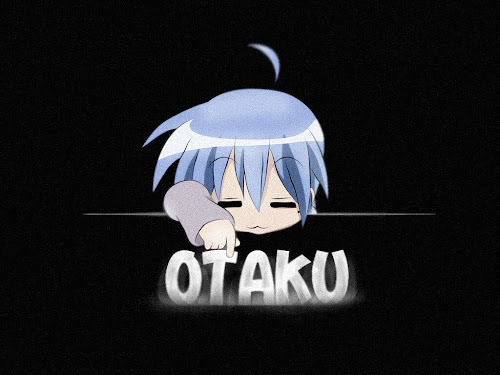 Now, looking at the episodes of the anime and all that, you might think that the anime is like any other romance anime (save the opening that totally makes you think that its a harem) but its not. Amagami SS is one of those multiple-story kind of anime where the protagonist go through each relationship routes and each of them isolated from one another. One fine example would be The Fruit of Grisaia series and in my opinion its the best way to portray an anime based on a visual novel. Every girl gets one route and every girl gets a happy ending. This way everyone watching the anime can be happy (unlike in some anime based on visual novels where only the main girl gets the spotlight and people are raging at how bad the character is and stuff). Okay. So the way this anime changes the behavior of its protagonist every single route makes you really feel that what he does and how he acts to different situations affects who he meets and dates. 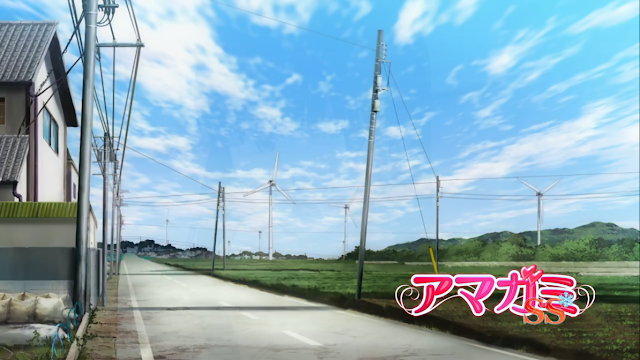 Rather than calling it an anime, I'd say that its an animated visual novel with the routes laid out for you. Which I really like, to be honest. You can see for yourself all the stupid things that he does and how it goes for this sad little sod. 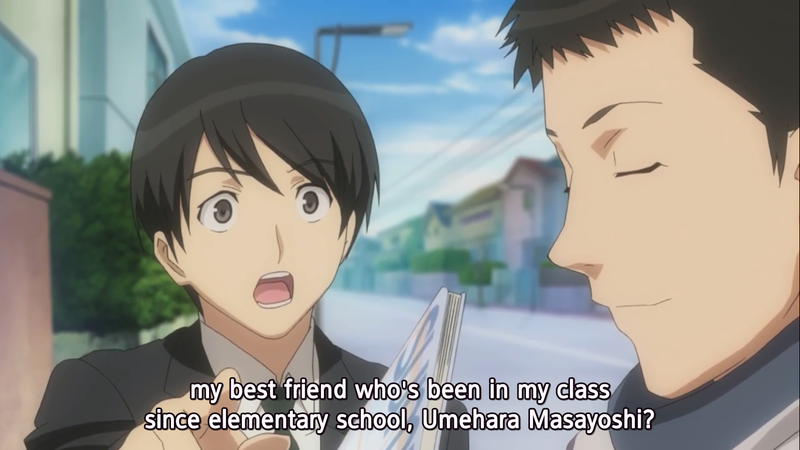 Then there is also Umehara, the best friend. As sad as Tachibana (the main character) is, this guy have it harder. Like really. There's like six different routes, and not one did he get laid. Not a single one. All he has going for him is being a sushi chef and his girlfriend, a tuna plushie (more like a dakimakura but I digress). Pity aside, Umehara is a very solid supporting character. He's always there for Tachibana through thick and thin and most of the time when it was in the thin side, its him that sacrifices his time for Tachibana. Enough about that. Now. This is my favorite girl Rihoko. But her route is what I hated the most. All the other girls get a happy ending. They get kissed, they get married, they got into REAL RELATIONSHIPS. But not Rihoko. She's stuck being friendzoned from the start of the anime RIGHT TO THE END OF HER ROUTE. 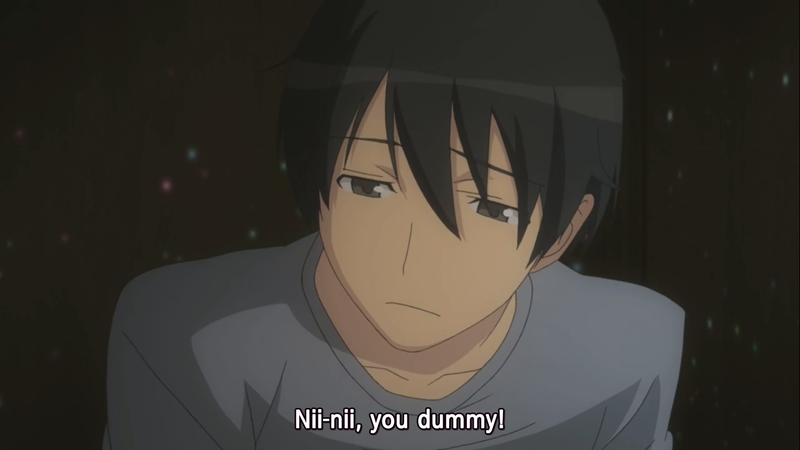 Yeah fine they repaired this grave mistake by making Amagami SS + but still I was pissed off. I mean look at her. She tries so hard and goddamnit in this route the main character becomes so reserved and dense he doesn't even friggin notice her. 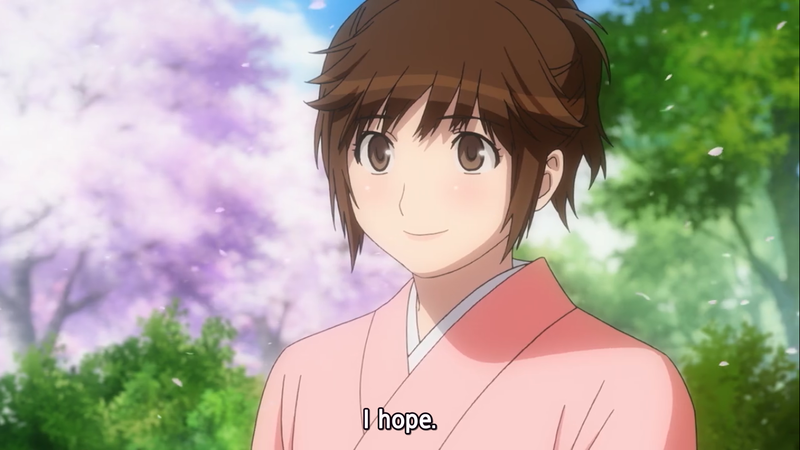 This cute, plump, clumsy airhead is supposed to get every single drop of love from Tachibana and what does she get? One little kiss in Amagami SS +. One kiss. My thoughts are in shambles right now so that explains this post. Sorry again. Amagami SS really gives you the best of romance that you can get. You have the falling in love part. You have the relationship part. You have the small conflict part. And then you have the happy ending part. There aren't any draggy long conflicts and stupid misunderstandings that hinder the progress of the characters and the story. Plus all the girls have their own songs. What more do you want? Amagami SS is like a piece of your favorite food and you're allowed to eat everything on your own. Get to it. P/S: In a few hours I'll be posting another review so yeah.